Unique look. Very practical. Lightweight & maneuverable. Great combination of hard case & flexibility. The price is steep but our plan is to never buy luggage again, rather than buying cheap, fabric cases and replacing them every so often when they got dirty & smelly. 5.0 颗星，最多 5 颗星Love the V-3s!! 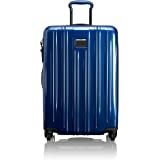 I have recently ordered this suitcase and am waiting for its arrival. But, I have the exact same one in Fuchsia and have traveled to many countries in Europe and Southeast Asia, and also to Japan with it. 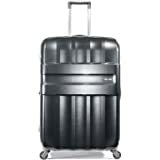 It's a great suitcase which is why I have ordered another large one. I also have both the matching, fuchsia medium-sized one and the fuchsia, international carry-on size of which I have also rolled through at least 10 different airports around the world. 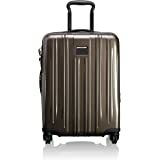 Tumi luggage really holds up. 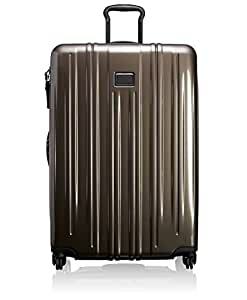 I have had different styles in Tumi, over the last twenty-five-plus years, but as luggage is ever evolving, I buy new models from time to time. However, none of the other ones ever wore out. I just passed them on to friends.